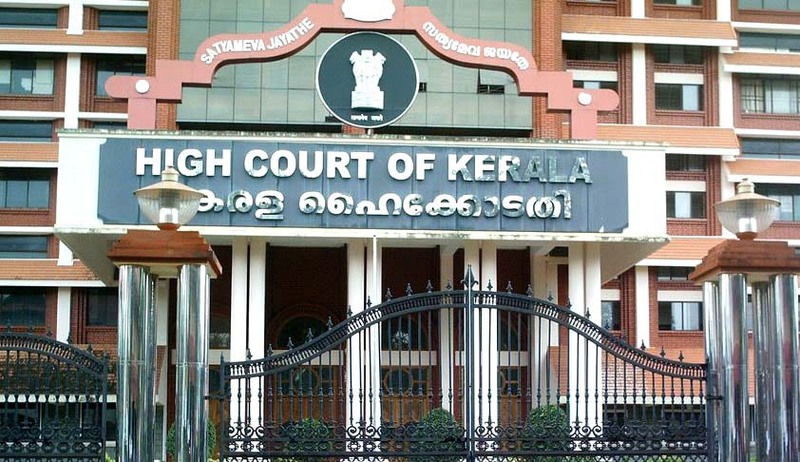 A Public Interest Litigation (PIL) filed challenging the constitutional validity of Sections 3(1), 4(2) and proviso, 4(4), 5, 6, 9(2), 15(2),16(5), 18(b), 19, 20, 32(10), 35 and 38(1) of the Civil Liability for Nuclear Damage Act, 2010 has been dismissed by the Division Bench of Kerala High Court comprising of Chief Justice Ashok Bhushan and Justice A.M.Shafffique on not being satisfied that the enactment suffers from any infirmity, arbitrariness or violation of fundamental rights. The Civil Liability for Nuclear Damage Act has been promulgated to provide for civil liability for nuclear damage and prompt compensation to the victims of a nuclear incident through a no-fault liability regime channelling liability to the operator, appointment of Claims Commissioner, establishment of Nuclear Damage Claims Commission and for matters connected therewith or incidental thereto. The advocate-petitioners Yash Thomas Mannully and V.N.Haridas contended that the aforesaid provisions of the Act are ultra vires the Constitution of India as the same interfere with the right to life of the citizens guaranteed under Article 21 of the Constitution, violative of Article 14, being arbitrary and unreasonable and the provisions vest with the authorities unbridled powers without checks and balances. As per the scheme of the Act, duty of notifying a nuclear incident is vested with the Academic Energy Regulatory Board (AERB) which is constituted under the Atomic Energy Act, 1962. The petitioners alleged that the Board being the sole regulator and enforcement agency for the use of atomic energy in India and the agency for giving consent for siting, construction, commissioning, operation and the decommissioning of nuclear and radiation facilities, it does not have the required independence as it comes within the organisational framework of the Department of atomic energy. It was argued that since no parameters are laid down by the Act as to how the satisfaction is to be exercised, such vesting of powers is per se arbitrary and contrary to the settled principles of rule of law which is a basic structure of the Constitution. Section 4(2) by which liabilities of different operators are clubbed together in such a way that each offending operator need not pay to the highest extend of the limit fixed and all the operators together need only pay to the extent of the limit as fixed for a single operator was also alleged to be violative of the fundamental rights. Petitioners relied upon the judgment of the Supreme Court in M.C.Mehta v. Union of India in which the Supreme Court laid down the ‘absolute liability principle’ that when an enterprise is permitted to carry on a hazardous or inherently dangerous activity for its profit, the law must presume that such permission is conditional on the enterprise absorbing the cost or any other expenditure arising on account of such a hazardous or inherently dangerous activities as appropriate item of its overheads. According to the petitioners, a claim for nuclear liability can be preferred by a person under the Act only in case of a nuclear damage arising out of nuclear incident and the Board is given power to notify nuclear incident, only when it is satisfied that the gravity of the threat and risk involved in a nuclear incident is significant. A time of limitation also has been prescribed which as pointed out by the petitioners would take away the rights of future generations to obtain compensation for damages caused from a nuclear incident as the impact on future generations will not be known immediately. Another contention was that there is no independence to Claims Commissioner and it is possible for the Central Government to appoint an officer of the Government having specified qualifications as a Claims Commissioner which will amount to arbitrariness and also violates the doctrine of judicial independence. It was also averred that the Act provides for untrammelled powers to Central Government for dissolving the Nuclear Damage Claims Commissioner. Another ground taken is regarding the finality to an award made by the Claims Commissioner and Nuclear Damage Claims Commissioner, excluding jurisdiction of the civil courts. The court after hearing the rival submissions observed that the Board being a statutory authority constituted under the Atomic Energy Act, to exercise such duties and powers as may be conferred on it; there is no reason to doubt the independence of the said organisation. “In fact the power to be exercised by the Central Government under the Act is delegated to the Board,” said the court. It was also observed that the Board functions based on specific standards and codes which are internationally accepted. “Being such an expert body, it can prescribe its own methodology for deciding existence of nuclear damage,” said the court. It was also added that that there is no basis for the contention that that there are no standards or an objective evaluation of the factors to be considered in notifying a nuclear incident and the Board is the sole regulator and enforcement agency. The court also upheld the competence of the Board to consider whether any nuclear incident can cause unacceptable radiation damage or not. It went ahead to state that claim for damages can arise only if actual damage is suffered by a person and that only those incidents which may cause radiation damage can give rise to a claim for compensation. With reference to the sharing of liability it was observed that such a situation arises only when there are more than one operator in the facility and the damage attributable to each operator is not separable. “Restrictions has been imposed only when several operators are involved and it may not be possible to find out as to which operator is responsible for the nuclear incident. Under such circumstances alone certain limits has been specified so that an unerring operator shall not become liable for the whole compensation....as the Central Government has undertaken the liability to pay any compensation over and above what is liable to be paid by the operator/ operators... the said apprehension is baseless,” said the court. With regard to bar of jurisdiction of civil courts it was observed that that the Supreme Court has upheld constitution of Special Tribunals for various purposes and in different enactments and therefore there is no reason to impugn the constitution of the Tribunal. Regarding the impugned power of Central Government to dissolve of Commission in certain circumstances it was held that held that if the Central Government is satisfied that the purpose for which the Commission established has served its purpose, or where the number of cases pending before such Commission is so less that it would not justify the cost of its continued function, or where it considers necessary or expedient to do so, the Central Government may, by notification, dissolve the Commission. “But, in so far as statutory powers are vested in the said Commission and the procedure is regulated by the statute, there is no reason to doubt the independence of the Commission. Further, appointment of the Commission is in addition to the Claims Commissioner,” the court added.